The nature and extent of continuing professional education needed by accountants. International Education Papers for Professional Accountants (IEPs) explain, examine, analyse, or otherwise critically assess education issues and practices. The aim of these papers is to encourage consideration and comment on the issues so they may be advanced. The papers may also be descriptive, aiming to promote awareness of, and transfer knowledge and information on, education and development issues or practices relating to the accountancy profession. The International Accounting Education Standards Board (IAESB) has published a revised version of its 'Framework for International Education Standards for Professional Accountants and Aspiring Professional Accountants'. The International Accounting Education Standards Board (IAESB) has published a revised International Education Standard (IES) dealing with the professional competence of audit engagement partners. The International Accounting Education Standards Board (IAESB) has released a revised 'International Education Information Paper', which is designed to help professional organisations conduct written examinations of accountants seeking qualification. The International Accounting Education Standards Board (IAESB) has published three revised International Education Standards (IESs) dealing with the requirements for initial professional development in the areas of technical competence, professional skills and professional values, ethics and attitudes. The International Accounting Education Standards Board (IAESB) has published a revised exposure draft dealing with the professional competence of audit engagement partners. The revised exposure draft is a substantial revision of earlier proposals in response to constituent feedback. The International Accounting Education Standards Board (IAESB) has released a revised version of International Education Standard (IES) 5, Initial Professional Development — Practical Experience. The International Accounting Education Standards Board (IAESB) has released a revised International Education Standard (IES) dealing with entry requirements into profession development programmes. The International Accounting Education Standards Board (IAESB) has released a revised International Education Standard (IES) on the how professional competence of an aspiring professional accountant should be assessed. 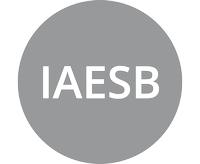 As part of its initiative to improve the clarity of its standards, the International Accounting Education Standards Board (IAESB) has released an exposure draft of a proposed revision of International Education Standard (IES) 8, 'Professional Development for Engagement Partners Responsible for Audits of Financial Statements'. The International Accounting Education Standards Board (IAESB) has released for public exposure proposed revisions of International Education Standard (IES) 2, 'Initial Professional Development—Technical Competence', and International Education Standard (IES) 3, 'Initial Professional Development—Professional Skills'. As part of the IAESB’s project to improve the clarity of its standards, these revisions address the development of technical competence and professional skills by an aspiring professional accountant. The International Accounting Education Standards Board (IAESB) has released an exposure draft of a proposed revision of International Education Standard (IES) 4, 'Initial Professional Development - Professional Values, Ethics, and Attitudes'. The revised exposure draft responds to comments received on an earlier exposure draft from March 2011. The International Accounting Education Standards Board (IAESB) has issued a clarified International Education Standard (IES) 7, 'Continuing Professional Development'. IES 7 prescribes the continuing professional development (CPD) required for professional accountants to develop and maintain the professional competence necessary to provide high quality services to clients, employers, and other stakeholders, and thereby to strengthen public trust in the profession. The International Accounting Education Standards Board (IAESB) has launched an online questionnaire as part of the development of its strategy and related work plan for 2014-2016. The International Federation of Accountants (IFAC) has written to the G20 outlining its recommendations for consideration at the G-20 Leaders’ Summit on June 18-19, 2012 in Los Cabos, Mexico. The recommendations include global adoption of International Financial Reporting Standards (IFRSs) and International Standards on Auditing (ISAs), increased resources for regulators and standard setters, and support for the International Integrated Reporting Council's proposed integrated reporting framework.